Dell has launched a cloud-based app for smartphones and tablets that lets businesses search, share and print documents from major cloud storage providers. The solution, dubbed Dell Document Hub, lets employees search Box, Dropbox, Google Drive, Microsoft SkyDrive and Sharepoint Online in one go. It uses Dell's single sign-on technology to let users track down files without having to log into each service separately. Dell's Doc Hub can be downloaded as a free app on devices running Windows 8, Windows 8.1 and Windows RT. The company says that an Android version is in the works and is due next year. 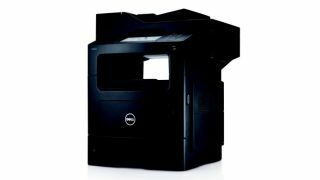 Dell has also outed six new mono and colour laser printers. The cloud-connected C2665dnf, which comes with Doc Hub functionality built in, can load documents from the cloud services and print directly without the need for a PC. Documents scanned using any Dell printer with Dell Doc Hub built in can be converted using cloud-based character recognition (OCR) to convert physical documents into editable digital formats (such as .doc) before uploading them to their choice of cloud service provider. Dell told TRPro that the OCR functionality, which will be free until March 2014, works best on printed documents but can also read and convert handwriting into text. Dell's Document Hub will be outed in the UK on November 5. Wonder what the top 10 printers are for your office?